Do you know that Facebook store what we search? In effort to improve the ads recommendations, it saves our search. This data is also used to show search suggestions based on our search. But very few people know that this is happening. You can also see your search history from activity logs. 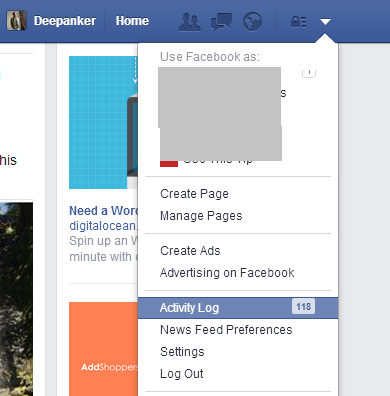 But there is an option to delete the search history from Facebook. I cannot confirm whether it will delete your data from their server, but it is a good idea to keep your search history clean for privacy purpose. In this guide, it will show you how to delete search history from Facebook. 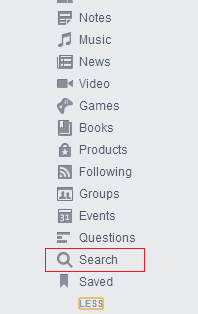 Click on Settings gear icon and then select “Activity Log” from the drop-down menu. Now find the search option in the left menu. Click on ‘More’ option below “All Apps” to show all options. Search option is hidden by default. Here, you will see all the search queries you made in past. To clear this list, link on clear searches link at top right side of the page. You can also selectively delete individual search query by clicking on the icon in front of it. It is your personal choice to delete this data or not. If you want to delete, you can follow the steps given above. Otherwise, you can use this option to check your search history.